Last time we looked at the strategic reasons why nations bought battleships. This time, we'll begin looking at how each nation translated the desire to buy battleships into the actual specifications for the ship. Every navy had a board of some sort that was responsible for setting the characteristics of new ships, usually composed of Admirals on the verge of retirement. 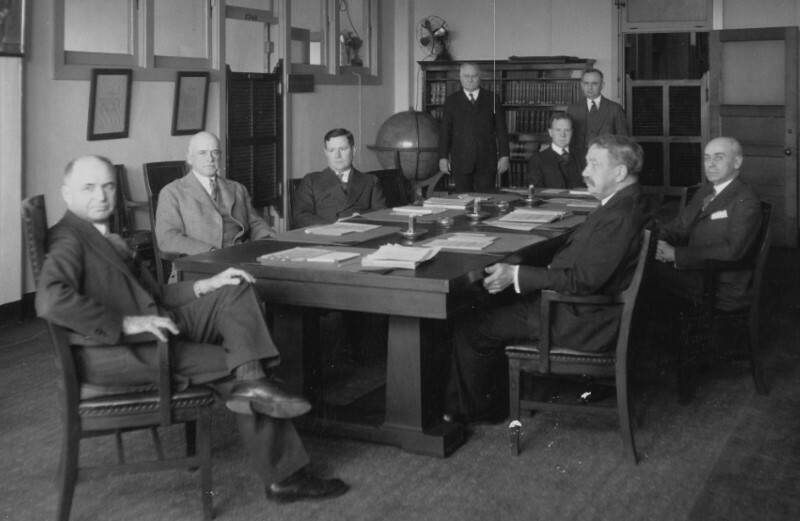 The USN General Board, responsible for American ship characteristics from 1909 to 1950, is probably the best-known example. This board would begin by issuing a set of "Staff Requirements", the broad outline of what they wanted on the next battleship. In most cases, this is basically a request for upgrades to the previous class of battleships, although if that was long enough ago, or if there is reason for a radical departure from previous practice, it might be done from scratch. The Staff Requirements would include such things as the size and number of guns, the rough armor scheme, speed and range. These were based on the Board's evaluation of the strategic situation, and what they expected the Navy to need going forward. For instance, the USN required much longer range of its battleships than did other navies, as it planned to fight an offensive war across the Pacific. The Germans and Italians only expected to fight in European waters, while the British planned to rely on their worldwide network of bases, allowing them to build smaller, cheaper ships. Speed was likewise set by national doctrines and expectations. The USN put a low premium on speed, their wargames having shown that an advantage of a knot or two would not be decisive in battle, and that a slower fleet could bring a faster one to action because the faster fleet could not afford to ignore the threat of the slower one. The British wanted a faster wing of the fleet, in the form of battlecruisers, as they believed that it would be allow them to turn the head of the enemy's line. Armor and armament were even more complicated. These were the biggest direct drivers of ship size2 and the Board had to keep in mind the limits imposed by the need for sufficient numbers on a naval budget always under attack by politicians. Industrial limitations played a major role, too. It was normal for a gun to be at least in trials before it was selected for a design, to avoid the risk of a new and very expensive battleship ending up toothless.3 Industrial limitations on the production of armor also had to be kept in mind, although tactical concepts and expectations (such as short vs long range combat) played a major part. 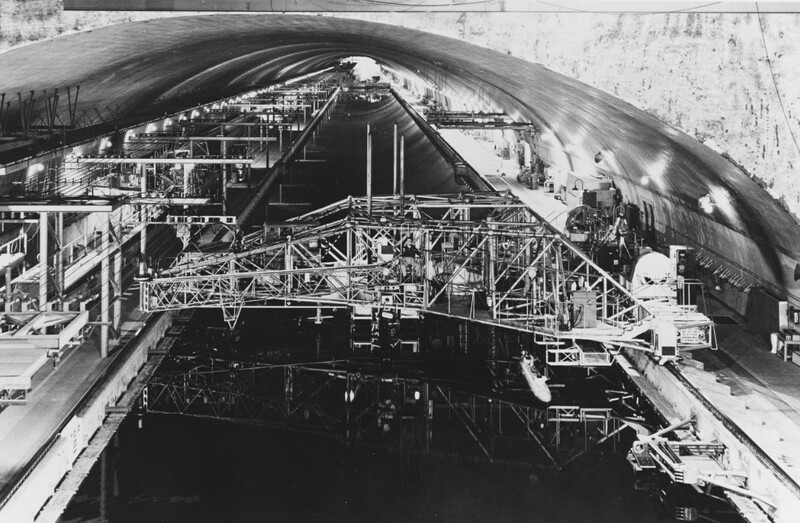 Once the first set of requirements was written, it was usually passed to the Navy's internal Preliminary Design section. 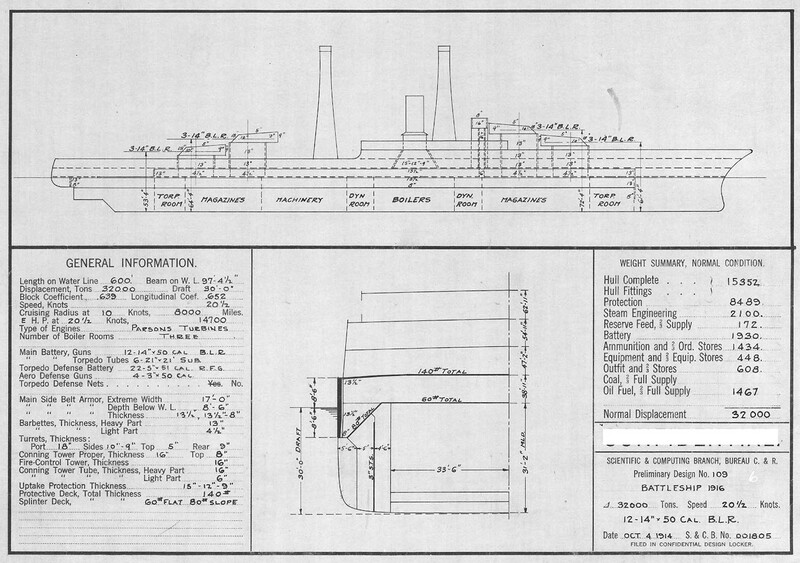 They would make sketch designs showing various options for laying out the ship to implement the requirement. For instance, 10 guns could be accommodated in 5 twins or 2 twins and 2 triples, and these turrets might be laid out in any number of ways, all of which would have implications for the rest of the design. Likewise, while armor thicknesses might be specified, the extent of armor coverage wasn't. All of the above is a gross oversimplification, but a necessary one. Preliminary Design was usually asked to prepare a whole range of designs with different characteristics in terms of speed, armament, armor, and range, and it was rare for the preliminary design of a dreadnought to involve less than a dozen sketches. Often, the Board wouldn't know what it wanted out of the new ship, and would go for different series with different characteristics, such as fast vs slow. 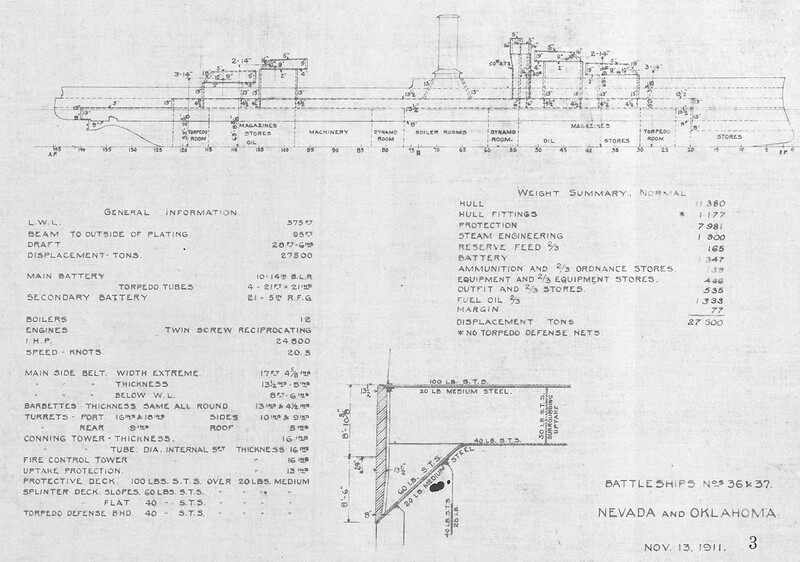 In addition, designers both inside and outside the Navy would produce designs unasked to show off what they thought the next battleship should be, or to explore new ideas. These were almost never adopted outright, but often gave new ideas that were fed into the next generation of designs. The first batch of sketches were taken to the Board, who would evaluate what they did and didn't like. Some could be eliminated immediately, as they were too big and too expensive, or were otherwise compromised. It wasn't at all uncommon for sketches to be done with the intent of showing why some design choice was not a feasible option, particularly when it was the pet concept of some powerful admiral or politician. The Board would focus in on a few concepts, and return them to Preliminary Design for refinement. This process might be repeated a few times, with more detail being provided on the selected designs. These were illustrated and known as Spring Styles, after the sketches used in the fashion industry. Eventually, one design would be selected for construction. At that point, detailed design would begin. This is when the sketches created by the Preliminary Design are turned into something that can actually be built. Everything up until this point has been done by rule of thumb and scaling from other designs. Now, the detailed design section works out directly what the ship will look like. Initial estimates are made of the location of machinery and equipment, and the resulting stresses are calculated. The lines are determined in parallel with this, seeking a balance between good performance and low weight. If a slice of ship weights more than it displaces, the remained weight has to be "transmitted" to sections with excess buoyancy. This is only a very high-level look at the process by which battleships enter the world, and I haven't even looked at the actual technical drivers of the design. That is my topic for next time. Stuart Slade's excellent and hilarious account of the process of designing a ship can be found here. Well worth a read. A valid point, and one I'm planning to cover later on. This is a huge topic, and the sorts of things that shape the final design are more topics for parts 2 to infinity of this subseries.